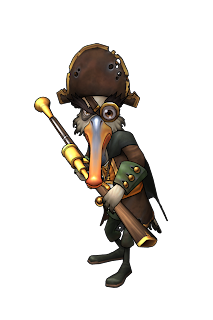 Yesterday Pirate101 released the November 2013 newsletter, and I am super excited! Why? Well because.....They hinted at new content that should be coming soon! Check this out! "The Ancient Ones aren't the only ones who've gone. He's gone.... gone completely barmy, Captain!" This is a sneak peek at the new content. Will it be a quest, a world or something else? Watch Pirate101's social media pages for more tidbits coming throughout the month! Also in the newsletter, Madame Vadima takes a look into her crystal ball and sees some pretty cool visions about the fates of all our pirates. Pretty cool stuff! 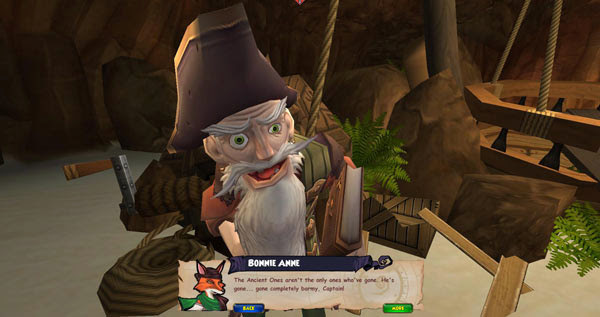 Pirate101 tells us more about Ol' Fisheye in the newest Rogue's Gallery as well. Be sure to click this link to view the whole newsletter. On another note, the holidays are coming soon! Pirate101 had an awesome celebration for Halloween and their first birthday. I wonder what the have in store for us in the upcoming months! Lots and lots to be excited about. Are you excited? Comment below and let me know what you think the new content will be, as well as what you would like to see during the holidays!